Wow, super underrated. These (ONA?s) were FANTASTIC. Dialogue heavy with a very bitter-sweet tone and jam-packed full of character development. contains 2 compact, enclosed stories. Short1 was used to develop Favaros relationship with his mother and give you more perspective on Favaros emotions in the aftermath of S1. Short2 is used to delve more into Jeanne's (The Saint, white knight woman) character. Both of which were greatly appreciated and helped set up the characters ambitions for S2. I thoroughly enjoyed these ONAs, If you love dialogue heavy character growth but skipped over these ONA heading into the new season, I 100% recommend watching them. usually when i watch special episodes of animes they are really bad, with no story and awful animation. This is clearly not the case here, they put a lot of effort making these special episodes. Theses short stories are a sequel to the anime where the main protagonists are showcased, also a new background character is revealed. The animation is as good as in the anime, also there are some important revelations. It really adds something to the main anime. It even has some light action scenes. 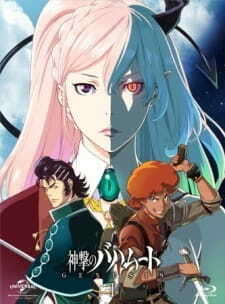 If you enjoyed Bahamut : genesis, consider watching these short. It feels like two long post-credit scenes, and they are really enjoyable. Actually these two episodes could have been at the end of the last episode.